The sixth Jack Taylor novel, CROSS, takes up where PRIEST left off. Jack Taylor's assistant, Cody, a young man Jack thought of a surrogate son is in hospital badly injured and in a coma and there's little hope for him. Jack is still off the booze but does get a little help from some pills from his former supplier, a supplier who has gone all Zen on him. Jack doesn't pursue the shooter of Cody, fearing it's Cathy, the mum of the little girl who died whilst in Jack's care. Instead Jack is approached by his only real friend, Ridge, to find out who has crucified a respectable young man. The answer could really help her career in the police, which is being stalled by discrimination. The reader is privy to who is responsible for the killing and it's a just a matter of time before Jack catches up, but not before there's one more horrible death. As well as the addictions to be overcome and the guilt about Cody, Ridge has a lump in her breast. Assuming that the lump is harmless, Jack begins to plan a new life in America with the proceeds from the sale of his flat. But before he goes he has to remove his own tumour, the one that is killing people in his beloved Galway. CROSS has a stronger mystery plot than PRIEST though the crime is not the main reason for this novel nor probably any of the previous volumes. The novels document Jack's progress from drunk to sober and all that goes wrong along the way, told in his own idiosyncratic and unique style. Galway and the changes to Ireland form the backdrop to Jack's investigation and his life as he struggles to stay on the straight and narrow. I'm not sure if you could binge read the Jack Taylor series as they are so full of despair and sadness, it would probably be too much to bear, but taken at intervals they are compulsive reading. 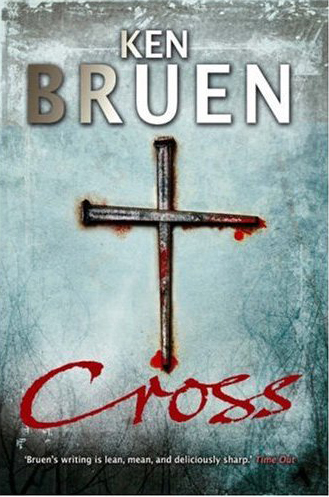 Read more reviews of CROSS, here and here.